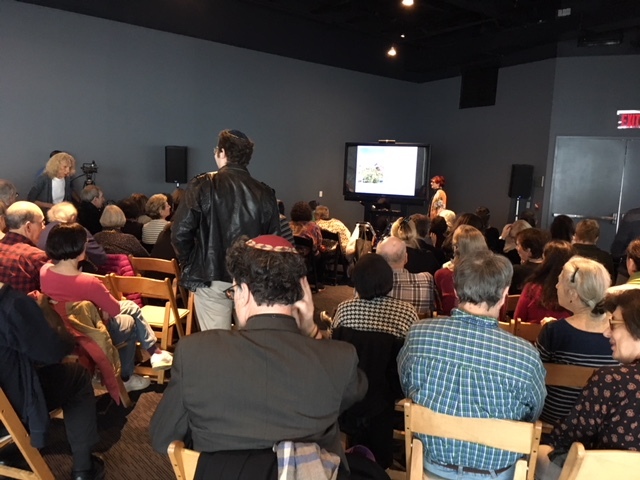 Irene Shaland was invited to present her popular lecture “In Search of a Jewish Story in China” on February 15, 2018 at the Museum of Jewish Heritage, Battery Park, New York. This event, on the eve of the Chinese New Year, was co-sponsored by the Museum and the China Institute. Samantha Hirsch, Producer of Public Programming at the Museum and James Heimowitz, President of the China Institute, addressed the audience prior to the lecture. The event was attended by close to 100 people. 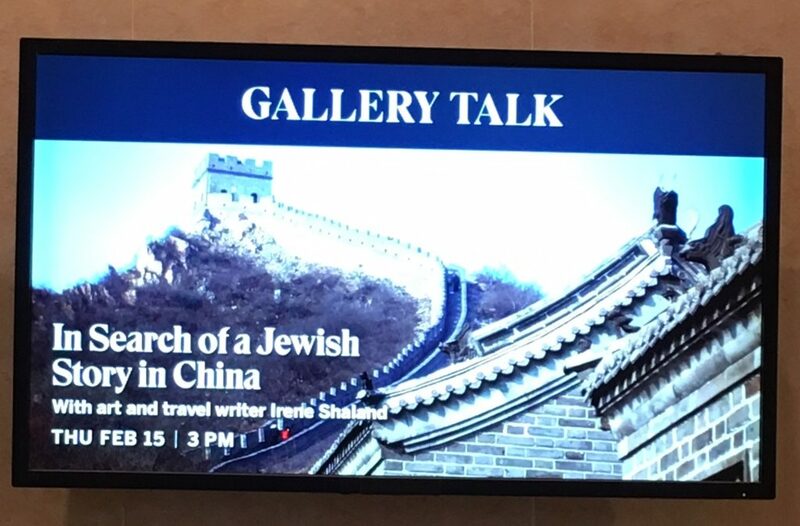 As a writer, Shaland remains ever attuned to what she calls the Jewish story, an often “endless chain of persecutions, from century to century, from country to country.” However, in China she uncovered an entirely different chapter in Jewish history, which divides into two stories: the Jews in China and the Jews of China. Irene talked about the secrets of the Gobi Desert and the Silk Road. She told the story of the most anti-Semitic of Russian Tsars deciding to build the Trans-Siberian Railroad and how it transformed a Chinese fishing village into a “City of Music”, and brought Russian-Yiddish culture to China. What important lessons can we, the Jews of the European and American Diaspora, learn from the Jews of China? Finally, why did the Jews of China disappear? And – did they? The audience was invited to take a journey to China and find out the answers to many perplexing questions. Irene Shaland’s book signing followed the lecture. 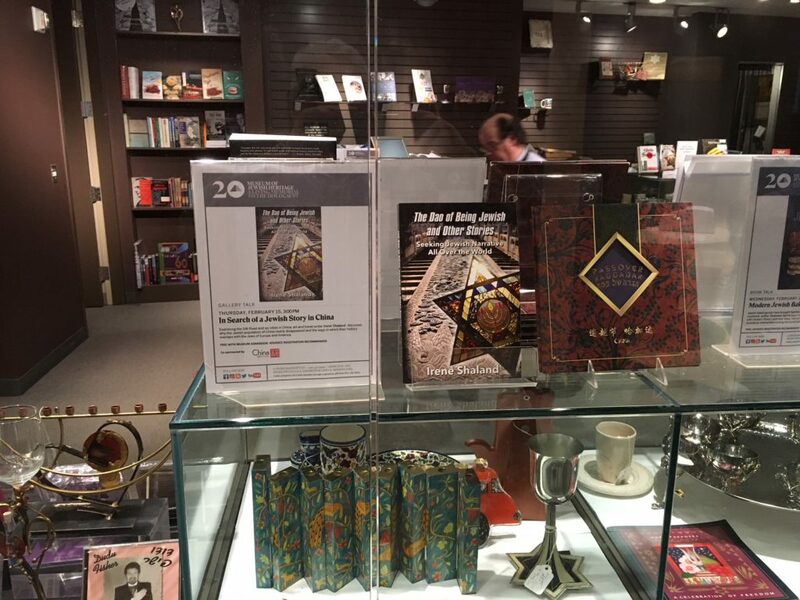 The Dao of Being Jewish and Other Stories was quickly sold out at the Museum store. What could be a better award for an author! This entry was posted in Asia, Books, Broadway, General, History, Lecture and tagged China, Chinese history, history of the holocaust, Holocaust, jewish, jewish book, jewish traveler, travel china. Bookmark the permalink.